RETTEW hired two new employees recently, one in our Pittsburgh, PA office and one in our Akron-Canton, OH office. 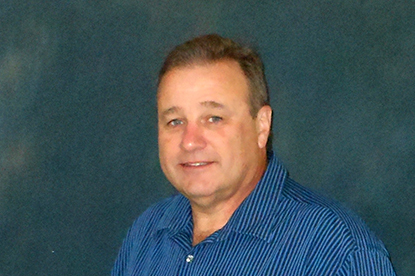 A senior hydrogeologist and geologist in our GeoEnvironmental group, Bill is a licensed Professional Geologist. He mentors a team and guides all aspects of geoscience investigations throughout Western Pennsylvania, Ohio, and West Virginia. His responsibilities include managing site investigations, remediation, water sourcing, business development and other environmental efforts in the commercial, energy, industrial, and transportation markets. He has more than 30 years of experience and is a member of the Pittsburgh Geological Society and the National Groundwater Association. He is also on the board of directors for the Air and Waste Management Association, Allegheny Mountain Section. Bill has a master’s degree in Hydrogeology and Geophysics from Wright State University, a master’s in Business Administration from the Indiana University of Pennsylvania, and a bachelor’s degree in Geology from Northeastern University. Sylvia works in RETTEW’s St. Clairsville, OH office as a designer in our Survey group. She provides designs for well plats and applies her drafting expertise and site data management skills to many projects in the energy and commercial markets. Sylvia has 25 years of experience in the surveying field, working on field crews and in the coal mining industry. She has an associate’s degree in Surveying and Drafting from Belmont College, and is a member of the American Legion Auxiliary in Adena, Ohio, serving as the chaplain of the local organization.